It is said that every cook/chef should have a signature dish. You know, that one dish that everyone loves and requests that you make it over and over again. While my cakes and pies are the most requested by friends and family, and my bread rolls along with my creamy mashed potatoes & gravy are a must for holidays, I recently learned that there is another dish that everyone considers to be my "signature" dish...My Crema de Brócoli (Cream of Broccoli soup). 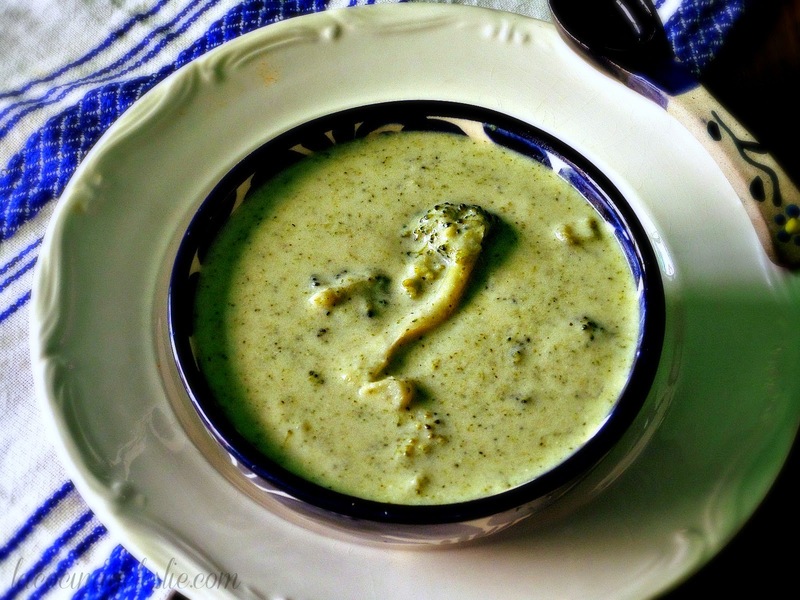 My Hubby fell in love with Cream of Broccoli soup when we were dating. He ordered it at every restaurant we visited. 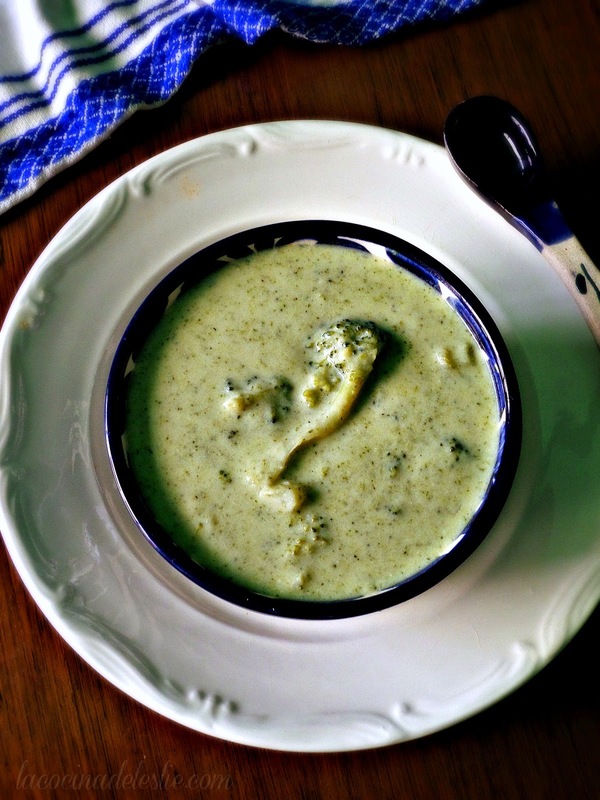 Once we were married, I made it my mission to create the best Cream of Broccoli soup that we could enjoy at home. My recipe has developed over the years and I have added a couple of special ingredients, like beer and manchego cheese, to make it even better. Place the broccoli florets, chopped onion, and chicken bouillon in a medium (4 to 6 quart) stockpot with the 4 cups of water. Cover stockpot and cook over medium heat until the broccoli is tender. Using a potato masher, break up the broccoli into very small pieces. Or use an immersion blender or regular blender to puree the broccoli until smooth. Remove from heat. Gradually pour the milk into the roux, stirring constantly with a wire whisk to prevent lumps from forming. Cook over medium heat until your sauce thickens. (You now have what is called a bechamel sauce or white sauce.) Pour the beer into the sauce and whisk until well combined. Season sauce with salt and pepper. Pour the cooked broccoli, along with the onion and water it was cooked in, into the beer sauce. Whisk gently to combine. Let soup simmer for about 5 minutes. Remove from heat and stir in the cheese cubes. Serve with crusty bolillo rolls or your favorite sandwich. Enjoy! *If soup is too thick add milk, 1/4 cup at a time, until soup is desired consistency. I love broccoli cheese soup! Looks good! I will have to try it out. I would probably add more cheese cause I have an addiction issue with cheese. But, that's just me. Every time we go to Agauscalientes and stop at Chili's, I always order their broccoli cheese soup. We are going today. We might have to go to Chili's. I'm blaming you for that. My family loves broccoli soup, but I've never seen a recipe like this, it looks so wonderful, and I am making it soon. Thank you so much for sharing...I can't wait to make it. this sounds delicious, can't wait to try it when the weather cools a bit!! Hi Leslie, I just made your Crema de Brocoli and it is terrific. I had asadero on hand and used that instead of manchego and it's great. This and a salad will be dinner tonight! Will be looking forward to trying more of your recipes! Hola Leslie! I made your crema but I had a plethora of squash so I made “crema de calabacitas.” WOW it was really good! My hubby loved it! Thanks for sharing your recipe and story.